Thanks for visiting ORG Planet! Remember that your session may expire due to inactivity unless you've checked the "log me in automatically" feature. 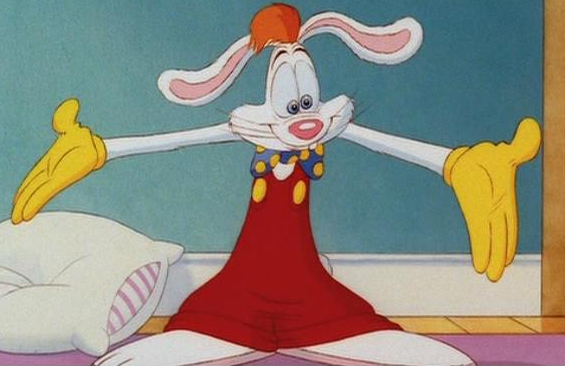 Roger Rabbit was once framed for murder. After clearing his name he is now here to stop a few witches, will his zany ways help any? The witches have struck again, can the town stop them? I think we are royally screwed here. Wow, I leave for one round and look what happens! We absolutely need to get this one right. After reviewing last round, I do have a hunch that it's Kyle. He didn't actually add any supporting evidence, but was on the lynch train. I don't have a better idea, so for now I vote for Kyle. You lynch me, we lose. Plain and simple. I havent been the most helpful this game(nor have many) and I imagine thats why Ive been kept so long, OR Mandie is a witch. I followed her on the Niki lynch twice thinking she was the seer. I was wrong. She would keep me till the end and put this decision on me. Well, you do make a valid point. I think Mandie would keep me around too. What does everyone else think? I think we should let everyone speak before lynching anyone. If we are wrong, its over. Michael, if you ARENT a witch you would be wise to pull that vote off me because the 2 witches could easily bandwagon on it and win. You know what, just even typing that out.... Why would you leave a vote out there in final 5 if you ARE a good guy? I'm going to wait to vote. I'm not sure which way to go. I need to think about this. I left my vote because I still think it is you, Kyle. I agreed that I thought Mandie was a valid option, too. You said it was silly for me to vote, but we absolutely need to kill a witch this round and I just really think, based on your gameplay so far, that its most likely you. The witches can't bandwagon if you're one of them, and that seems like the clear answer. That being said, we still need to hear from Kiwi who has been noticeably absent. I really think if Mandie is not a witch with you she'll see this obvious evidence and help us win! Donna, give us SOMETHING please. It hasnt happened yet for either of us. KIWI, Donna, Mandie, what say you? I am voting to lynch Michael. Sorry boo, I lurve you. The Other Mother collects children and takes their souls from them, trapping them forever. You all got a witch! One witch remaining, can you get Willow before she gets you?